Doesn’t your furry family member deserve to look their best? Taking your four-legged friend to a pet groomer can be a rewarding experience for both you and your fur baby. From refreshing baths to pampering paw-dicures, your pet deserves only the very best. 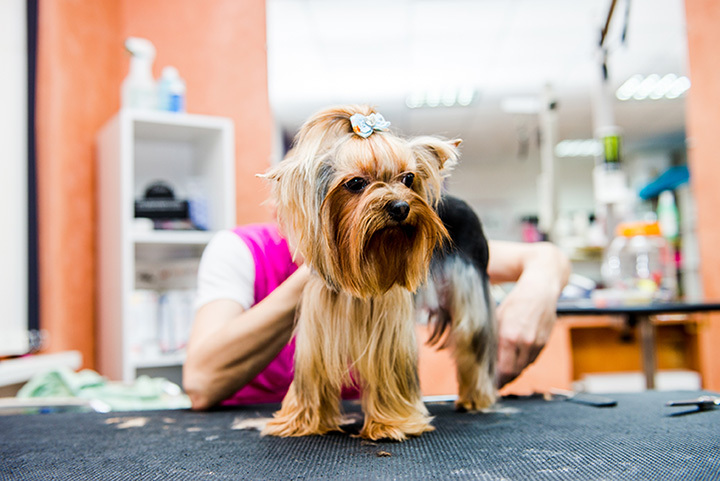 Here are the best pet groomers in Tennessee. From the outside, it looks like a hotel fit for humans. On the inside, it’s full of happy canines and felines that are getting the royal treatment or enjoying a sleepover. This full-service grooming spa offers baths, shedding and de-matting services, facials, nail care, and so much more for their furry guests. Your pets will look and feel like new. From self-service dog washes to professional grooming services, you’ve got plenty of options. They take pets by grooming appointment only so you’re never kept waiting. Whether you need a simple brush and bath or the full treatment, your pet will happily thank you for bringing them here. Don’t have time to visit the groomer? This place will come to you! Their groomers are prompt and courteous, and give you the flexibility of coming to your home without leaving you the clean-up. They’re also the best choice for environmentally friendly, all-natural pet products for healthy results. This full-service grooming salon still offers old-fashioned scissor cuts, an art that most other salons can’t match. They have a full range of grooming packages and a la carte services to fit your budget and leave your pet feeling amazing. They even include some elevated spa-like services, like volcanic mud and hot towel treatments—and it’s completely okay to be jealous this place is only for animals! From simple bathing to meticulous grooming, your pet will be nothing short of spoiled when they leave. They’re the experts for breed-specific cuts, premium washing services, and all the fine details that will make your pet feel refreshed. Every trip is like a day at the spa, and staff love on their guests as if they were their own pets. Perfect for every canine and feline, the main focus here isn’t on just how your pet looks, but also how services will affect their overall health. They want every pet to have a pawsitively healthy experience, and use safe products and techniques. There’s even an on-site doggie bakery so you can give your good boy or girl a special treat when they’re finished. The staff here makes the difference—they’re personable with customers and pets alike! They know how to calm a nervous pet so every dog can get the R&R they deserve. And the prices just can’t be beat! This one-stop shop means you can take care of pet business in a single trip. Start with a visit to the groomer, where your pups can get trims, cuts, nail care, and baths while you shop for pet supplies. They also provide training and boarding services, all under one roof! Your furry friend will feel like this place is a second home. They’ve created a warm, tail wagging-worthy environment that pets love coming to. Their full range of dog and pet grooming services include a variety of options to suit your pet’s unique needs, and all breeds are welcome. This full-service grooming palace makes it easy to get your pet an appointment whenever mess or odor strikes. They’re a locally owned and operated shop, and the owner is integrally involved in the care of every pet that passes through. And make sure you swing by their on-site puppy boutique to treat your four-legged friend for their good behavior.